We support a research company developing a new technology for deep learning in the browser, Jeeliz. It uses WebGL to build neuron networks, mainly for visual pattern recognition purpose. Games and interactive animations are an excellent way to promote your products or to boost your website's popularity. We master the latest web technologies to enhance your website and make the difference. We also provide consulting for your WebGL projects. We provide WebGL and Three.js training sessions. For more informations please visit WebGL Academy. Our application portfolio demonstrates our expertise in 3D web programming. We work remotely or we come out. Invoicing is done either according to working time or following a detailed quote. If you need our services, contact us by email and we will draw you up a quote. Web technologies are moving fastly. A bunch of new standards grouped in HTML5 appeared. In the coming years they will revolutionize the use of the Internet. New uses will emerge notably with 3D (WebGL), media streaming and P2P (webRTC) capabilities. Previously used mainly for interactive applications, Flash is condemned to disappear in favor of HTML5. Many existing native applications greatly benefit from being reprogrammed in HTML5. There is a quicker maintenance, a possibility of creating a mobile version with HTML5 wrappers and no compatibility issues. We guide you through the development of your projects using WebGL technology, or through the conversion of existing 3D applications into web applications. We offer training for new web technologies. We have a 24 hours main course which is an introduction to 3D programming with WebGL. We can also customize training. Our main course was taught successfully in engineering school. It includes tutorial classes without using any WebGL framework, and using THREE.JS. We use our interactive tutorials platform, WebGL Academy. 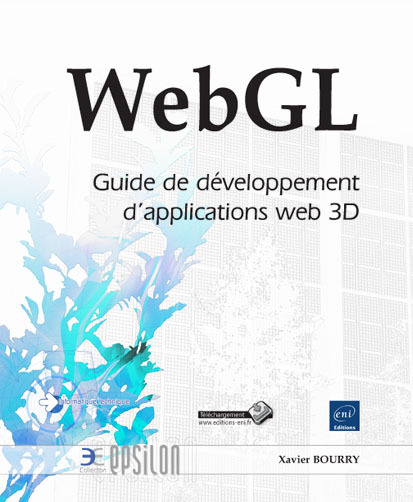 Xavier Bourry, founder and developer at Spacegoo, has written a Book about 3D programming with WebGL. It is currently available in French. You can order it on the Editions ENI website : www.editions-eni.fr .